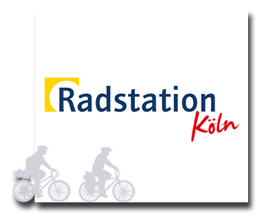 The bicycle station in Cologne and its locations are social projects within the framework of employment development and promotion. Vocational integration can be successful through counselling, education, the creation of jobs and training positions as well as further qualification. With the content "All about bicycles", the bike station offers unemployed women, men and young people support in their integration and (re-)entry into working life through work and qualification. The basis of every integration measure is qualification, which takes place modularly in the most diverse subject areas of the cycle station. With the guideline "promote and challenge", the unemployed people are to experience personal stabilisation and appreciation through work through "training on the job". Support, guidance and encouragement are provided by specialists from the "two-wheel technology" and "service" sectors, as well as by socio-educational support. But it is not only the customer and the environment that benefit from the range of bike stations. With their services, the cycle stations primarily want to support people for whom the regular job market hardly offers any prospects any more, namely with offers for qualification and employment. And that happens in all cycle stations sponsored by Catholic welfare organisations in the archdiocese of Cologne.